Western Armenia refers to an area in the east of Turkey which was historically part of the Kingdom of Armenia and where many ethnically Armenian people reside today. The Kingdom of Armenia was a nation state that was formed in the 4th Century BC, stretching at various times from the Caspian Sea in the east, the Black Sea in the West and the Mediterranean Sea in the South. By the 4th Century AD, Armenia was surrounded by two great empires – the Byzantine Empire, or the Eastern Roman Empire on one side and the Sasanian Empire, which would become the Persian Empire on the other. During the Byzantine-Sasanian Wars, Armenia was divided between those two empires. In 387 AD, Western Armenia became officially part of the Byzantine Empire, and Eastern Armenia became a Kingdom within the Sasanian Empire until it was fully annexed. Western Armenia changed hands many times as empires rose and fell, from the Byzantine Empire to the Ottoman Empire to modern day Turkey. It is a place with a troubled history. The Kindom of Armenia had been the first country in the world to declare Christianity as its official religion, and under Ottoman rule, Christians were often treated as second class citizens under the muslim majority. In the late 19th Century, Sultan Abdul Hamid II enforced a series of pogroms against Armenians within the Ottoman Empire, as a result of a belief that the empire was failing due to the persecution of the Christian world. Estimates place the death toll between 80,000 and 300,000. Anti-Armenian sentiment carried on into World War 1, where around 1.5 million Armenians were killed. There was a fear among Ottoman authorities that their Armenian population may be more loyal to Christian governments – indeed, there was widespread hope among Armenians that all of Armenia may one day be part of the Russian Empire. In 1915, a series of brutal and systematic killings took place – most able bodied men murdered and the woman and children sent on death marches across the Syrian desert. The Turkish government still refuses to use the word ‘Genocide’ today and uses ‘the events of 1915’ instead. Today, there are around 50,000 Armenians living in Turkey, most of them in Istanbul. In 1914, the number was nearer 2,000,000 people, who mostly lived in those eastern parts of Turkey that were historically part of the Kingdom of Armenia. 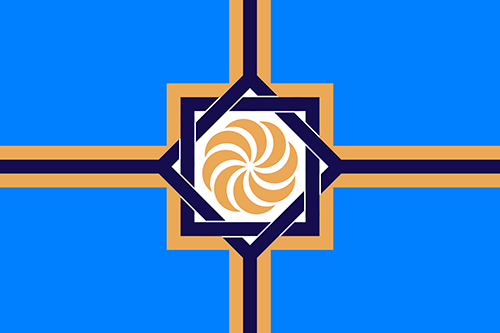 The Western Armenia National Football team was set up in 2015, representing indigenous Armenian people primarily living in Western Armenia. They played in the previous ConIFA World Cup in 2016, held in Abkhazia. They won their first competitive game 12-0 against the Chagos islands, but struggled to repeat that kind of form as they went out in the quarter finals to eventual runners-up Panjab, finishing 7th overall. They’ll be hoping to at least get out of the group stages, but that might be a tough task as they’ll have to play their previous conquerors Panjab again.